As you may suspect, I spend an inordinate amount of time thinking about Facebook. Not what Facebook is, but what it’s becoming. I think of Facebook as a set of tools that facilitate social interaction and with that in mind, there are several activities that I believe Facebook can essentially own in the near future because they are social in nature. Movies – People love to watch movies together. Whether they’re at home or in the theater, people love to share the experience of a movie. (Hopefully after the credits have run.) More recently,with what is being callled Media Stacking, people have been sharing movies via text & Twitter without even being in the room. The shared/social experience of movies is the reason Reed Hastings, the CEO of Netflix was just named to the board of Facebook and that Warner Bros recently signed a deal with Facebook to show a limited movie collection. 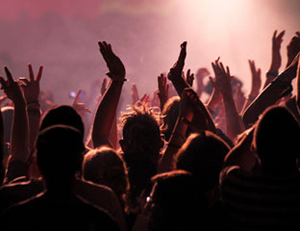 Concerts -If you can watch a movie on Facebook, then concerts are a no-brainer. They’re far more social than movies, because you can yell into your friends ear, during the performance. (Don’t try this in a movie.) Expect to see more live events on Facebook like SMTOWN in Paris in the near future. I’m sure there are more social activities that Facebook could facilitate and in my mind, these are the big ones.